Sociologist Ernest Burgess studied the characteristics of urban populations, as compared to rural ones, and the patterns of ethnic segregation in cities. With Robert E. Park, he theorized that a "natural community" emerges within any large city, and Park and Burgess co-authored Introduction to the Science of Sociology, a college-level textbook which was widely used for several decades. After his retirement in 1951, Burgess conducted research on the sociology of aging. 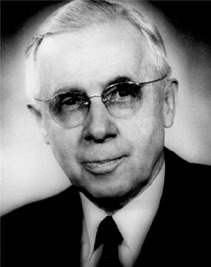 He also conducted studies on marriage, compiling statistics from interviews with hundreds of married couples, and concluded in 1945 that "institutional marriage" (which he defined as "a building block of society" established and regulated by social norms) was evolving into "companionate marriage" (more defined by affection between the parties and their choice of each other as lifelong companions) in American society. Based on his research, he proposed and lectured on a formula for choosing a spouse, though Burgess himself never married.